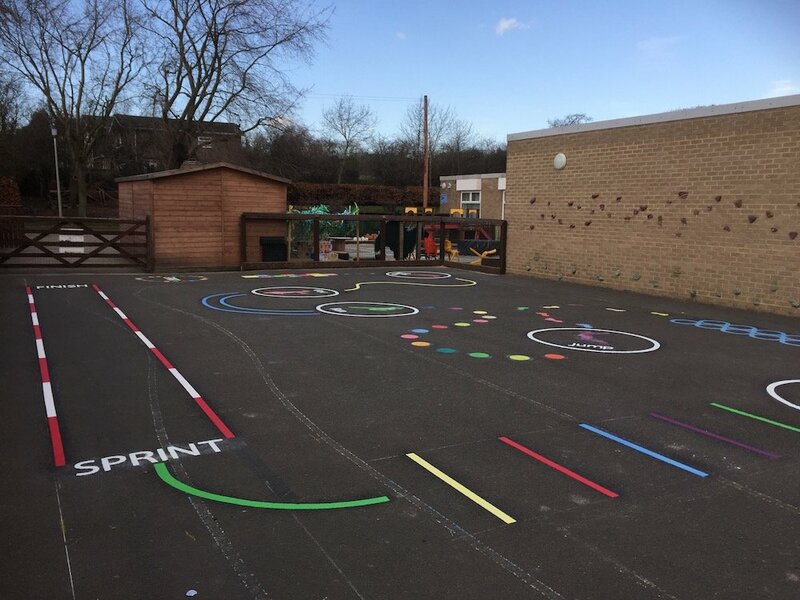 Our installation team travelled south from our office in Gateshead to Eyrescroft Primary School in Peterborough to install a range of vivid markings. 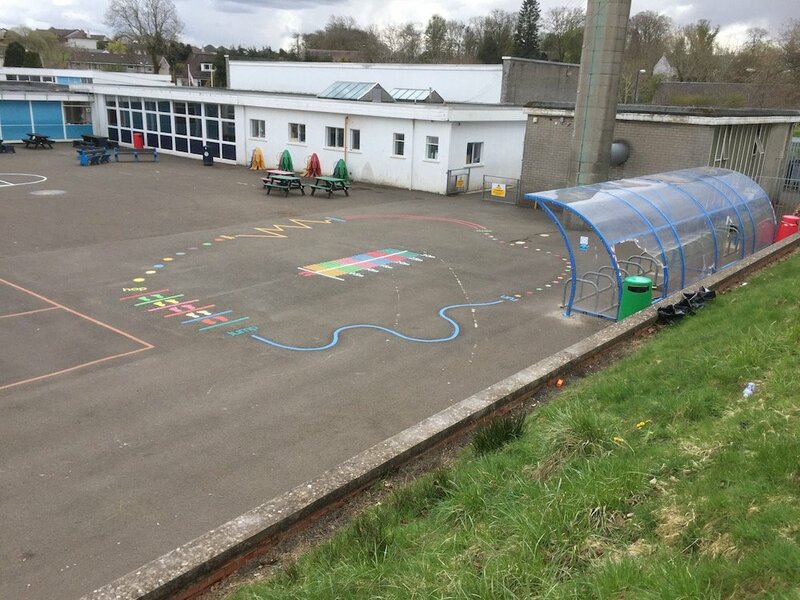 These markings consisted of a Target Throw, a Maths Maze, a Dance Class, a Cycle Track and a Countryside Trail. 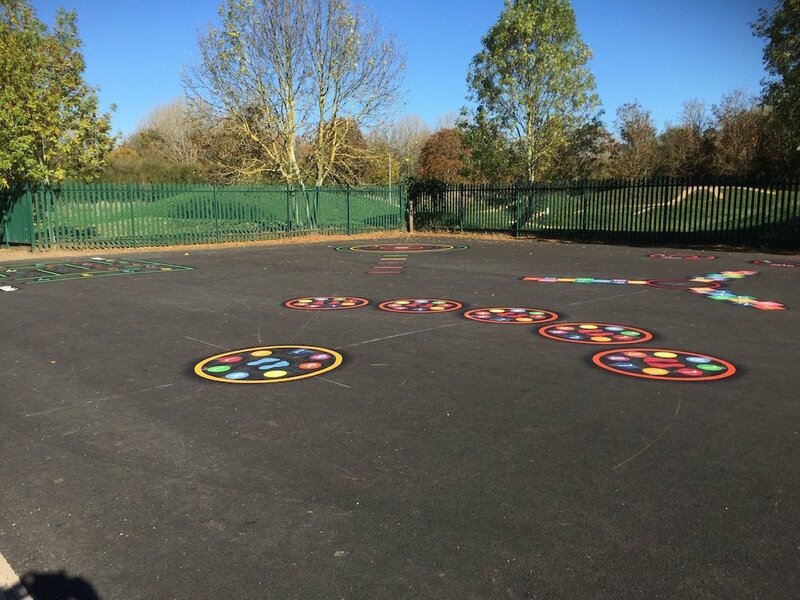 Children stand behind the various lines and throw bean bags onto the circular target. 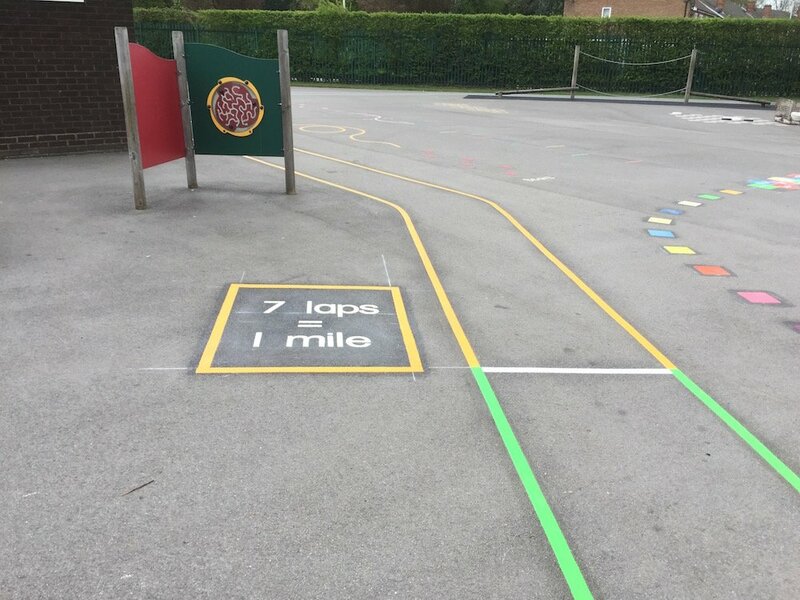 Next, the team installed this Maths Maze. 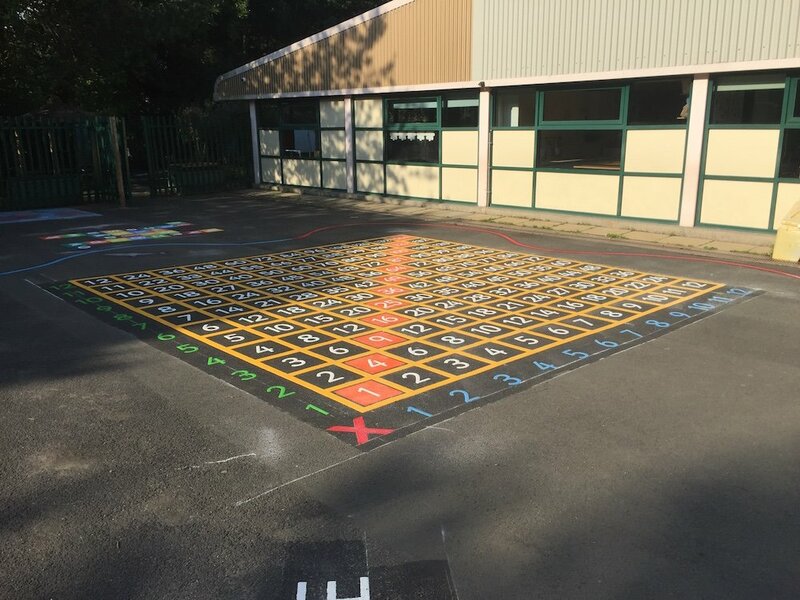 The game is played by a child starting in the Start box, the teacher or another child calls out a number. 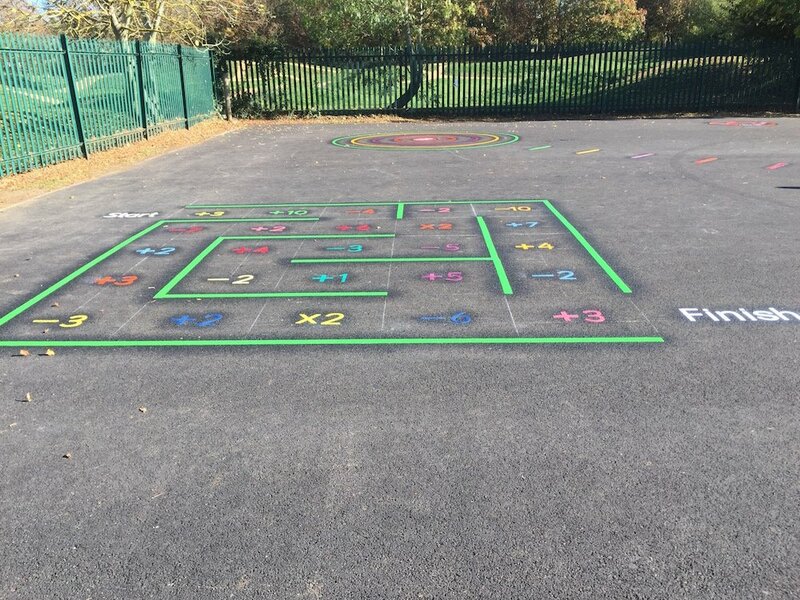 The child then starts moving around the maze calling out the solution to the maths questions as they move around the maze. 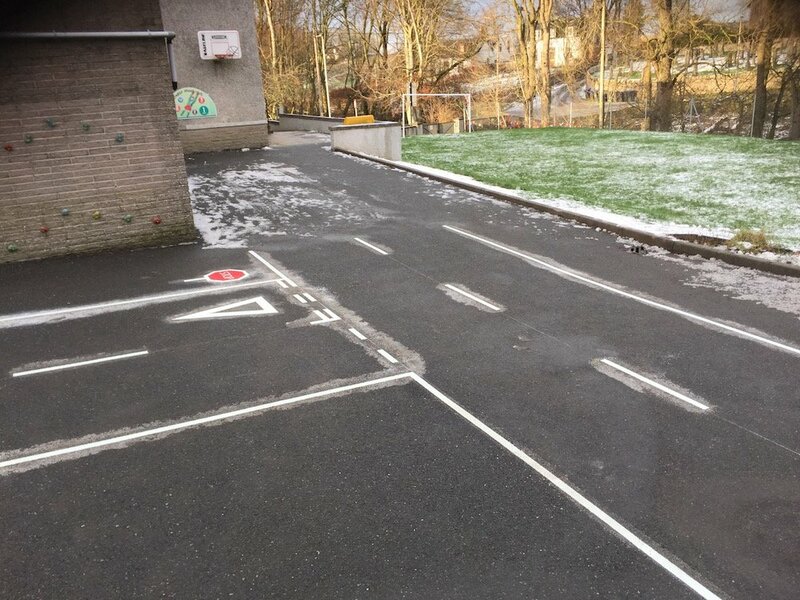 If the child completes the maze then he or she has won the game. 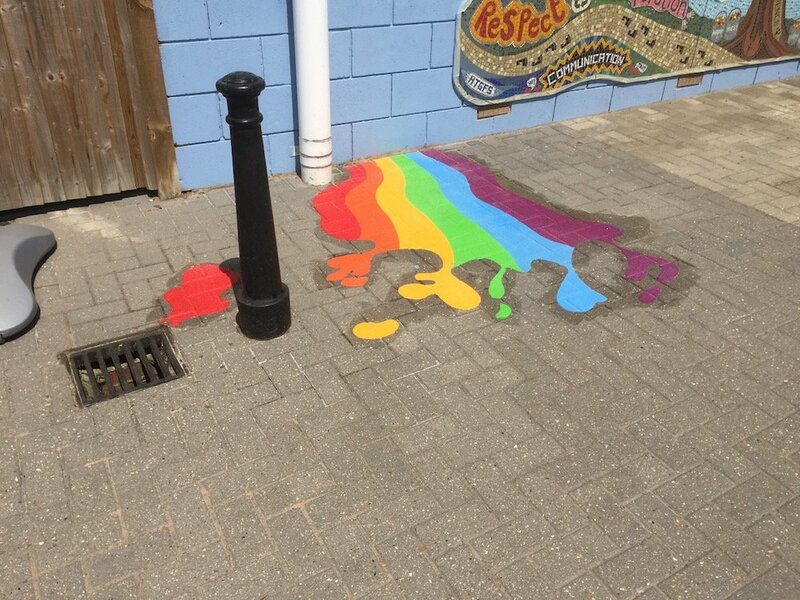 If a question is answered wrongly then the child drops out and the next child begins. 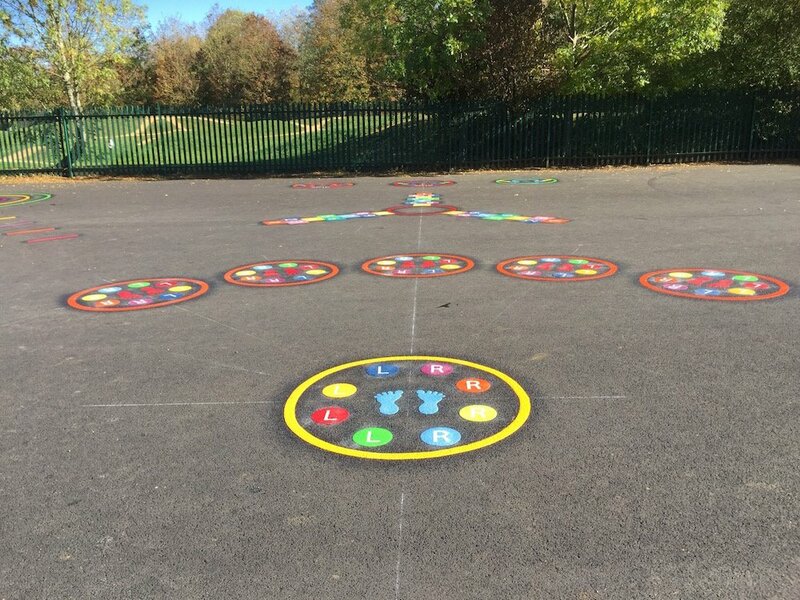 This is an excellent teaching aid for mathematics and problem solving, as well as allowing children to learn in a healthy outdoor environment. Then, the team installed this Dance Class. The Dance Class moves have five learning positions and one instructor circle. 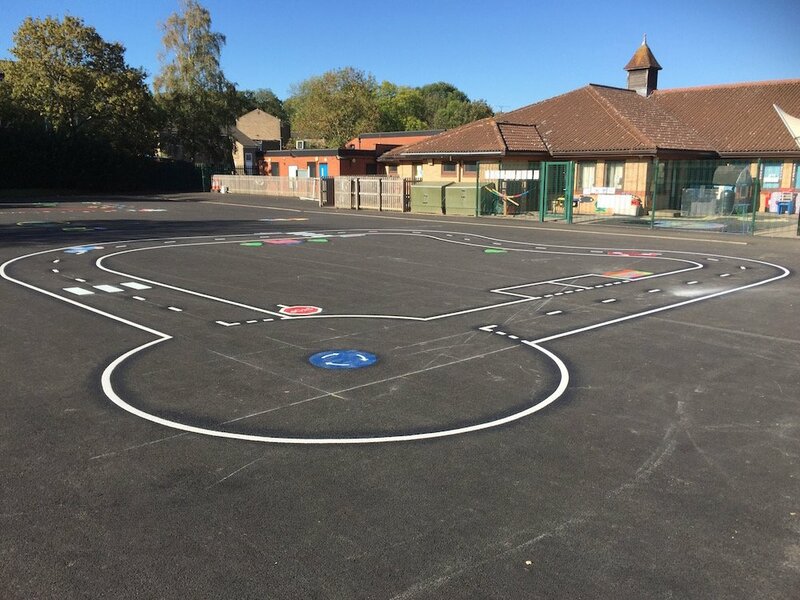 The game teaches children left and right co-ordination with this fun playground marking. 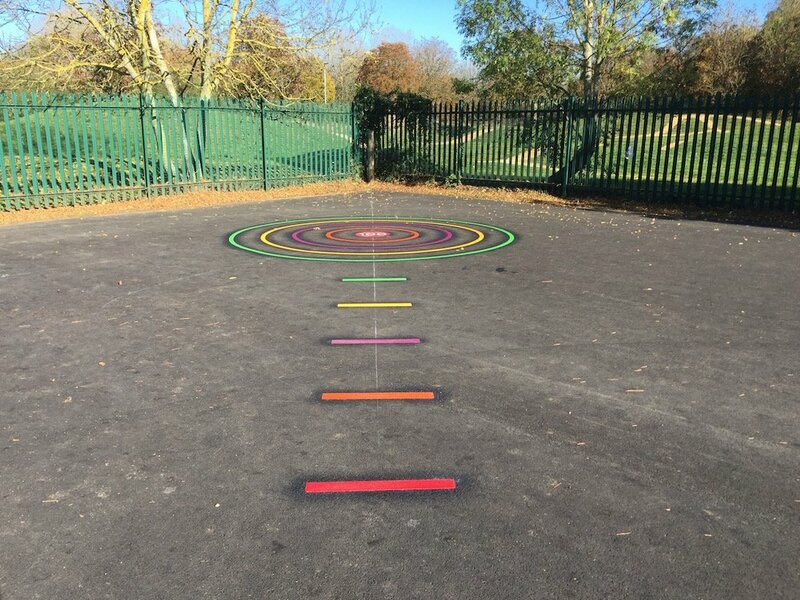 The children can dance together to music or they can use the game as a playtime activity. 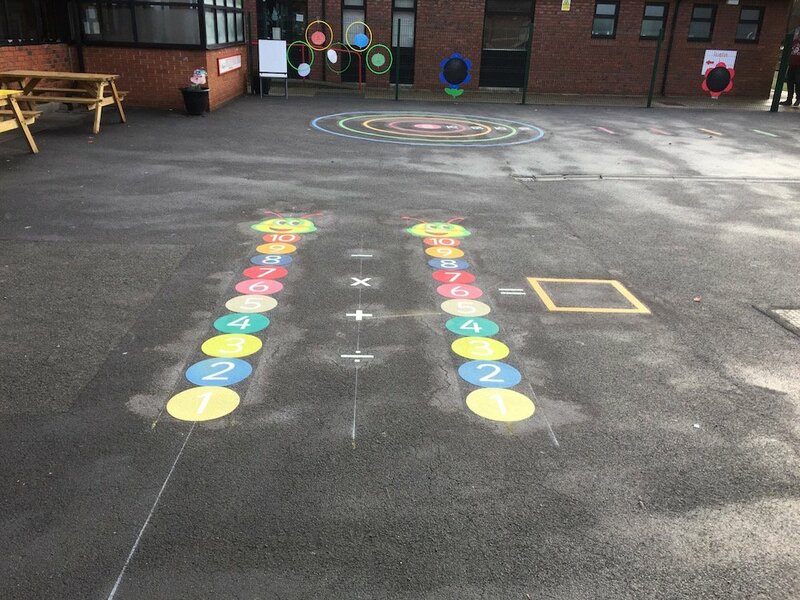 This playground marking uses a variety of coloured shapes and is a fun addition to any school playground. 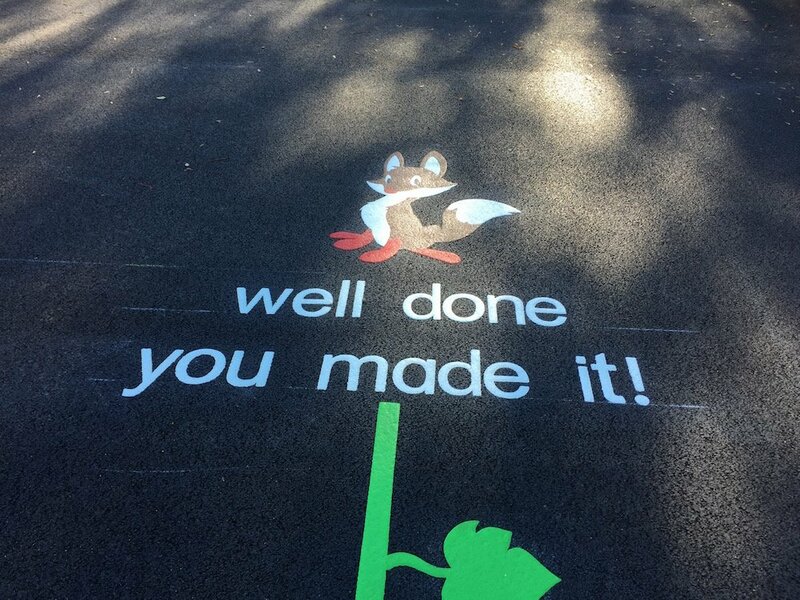 After that, the team installed this Cycle Track. 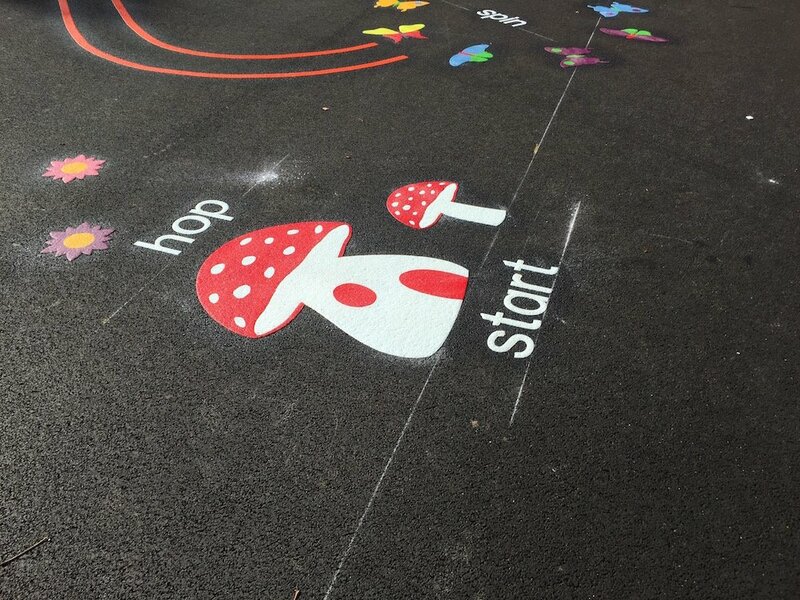 The Cycle Track makes road safety fun with our range of bike-ability markings. 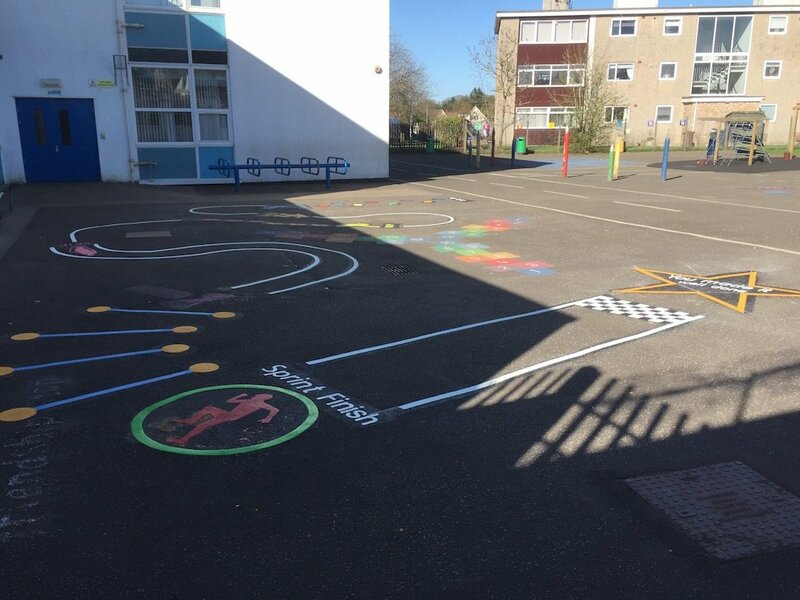 Our tracks and circuits are designed to be used by bikes and scooters. Lastly, the team installed this Countryside Trail. 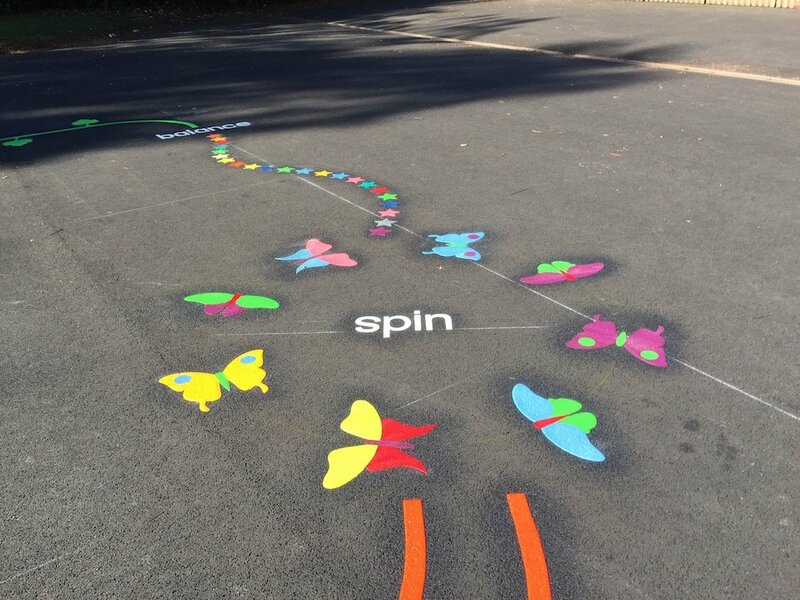 Transform your playground into an enchanted space with our Countryside Trail. The children absolutely love bouncing through to meet their foxy friend at the end.